This year has been amazing till now for the attackers. With the days passing by and tech evolution, the attackers are just bypassing all the cyber security techniques used by major organizations. On the other hand, cybersecurity organizations are completely failing to prevent these attacks. We lived in a world where we earlier used to read news about world, society and science. But as of now, when we look up to our mobile screens for news or whenever we read a newspaper, all we can see is cyber threats, and multiple infections surfacing online, all ready to steal your personal information such as, credit card details, personal IDs, data and other sensitive information. Similarly, a new ransomware was discovered by Trend Micro researchers, named as Viro Botnet Ransomware, which behaves as both, botnet and ransomware. This ransomware is currently active in United States and is targeting Windows users. Let us know some more about this ransomware, like how it works and what is it capable of. 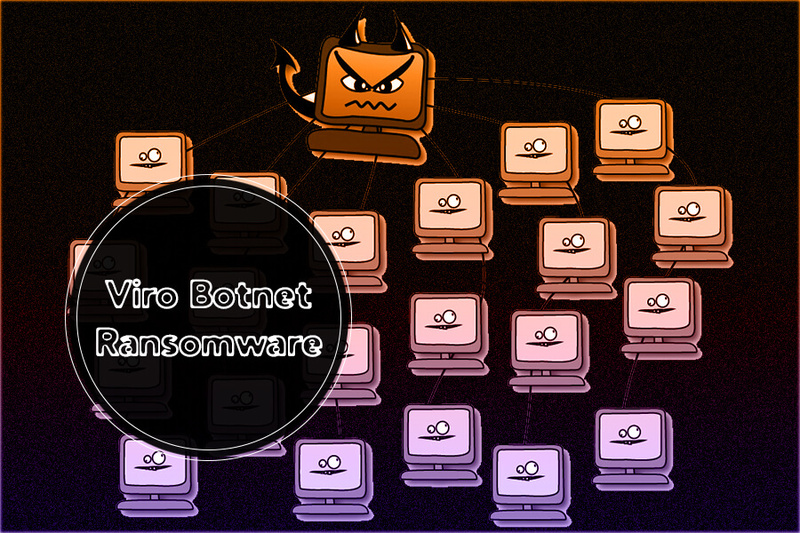 How Viro Botnet Ransomware Works? 1. Once, the file named “Ransom_VIBOROT.THIAHAH” is installed on system, it directly goes for checking registry keys, to see whether the system is encrypted or not. 2. After this, it creates an encryption and decryption key with cryptographic Random Number Generator. As soon as the key is generated, Viro botnet starts gathering information from system and simultaneously keeps sending the data to its host server through POST. 3. Following to which, it begins with encryption process via RSA encryption technique. 4. Once, the system is encrypted, it shows a ransom message, which is written in French. What Viro Botnet Is Capable Of? Well, Viro Botnet seems powerful and infectious, let us know some more about it. 1. Viro Botnet comes in a file name “Ransom_VIBOROT.THIAHAH” with .exe extension. This botnet gathers information from registries, and directly attacks machine GUID for it. 6. Viro Botnet can also be present with alias name, that is “HEUR:Trojan.Win32.Generic”. It is currently active in United States and is only targeting Windows users for now. However, for now, Viro Botnet has been taken care of by Trend Micro, as they have succeeded in taking down the server. Also, they have blocked all the websites connected to the server. But, still we should stay aware and should keep taking necessary and useful preventions to stay safe and secure from attackers.